This bundle includes 30 pieces of Platinum Tools CAT6 EZRJ45 connectors and matching strain reliefs for perfect cable termination when used with the Platinum Tools crimp tool (not included). 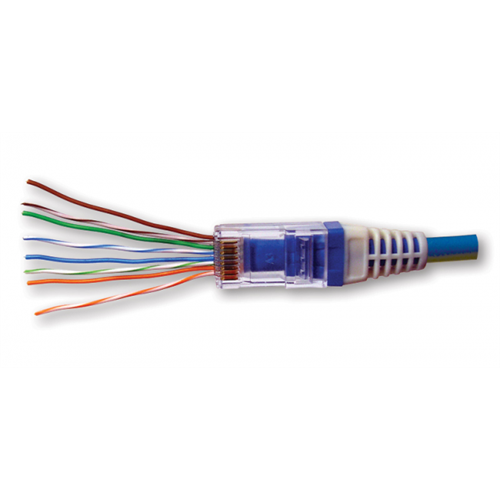 The unique design of these CAT6 connectors allows the wires to be pulled completely through to make it easier to terminate and visually inspect wire position. One motion locks on the connector and cuts the wire ends off perfectly.